On Tuesday, May 2nd, Fabtex Inc. held its National Sales Meeting during the HD Expo in Las Vegas. The annual meeting was attended by approximately 40 sales representatives and various Fabtex employees and executives. Michael Feterik, chairman and CEO of Fabtex, Inc., commenced the meeting by thanking everyone for their hardwork, efforts and dedication to Fabtex. Feterik went on to discuss the current state of Fabtex, how to build prosperous and lasting relationships and the importance of being proactive. 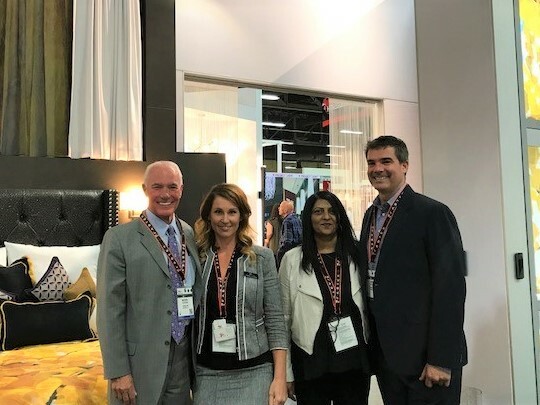 Fabtex, Inc. Michael Feterik, chairman and CEO, Christina Caravello, VP of Operations, Sheila Sudra, Sales Manager and Kevin Feterik, Vice President at the 2017 HD Expo in Vegas. Each year the annual meeting focuses on improving the sales strategy process and how sales representatives interact or communicate with clients. This year’s meeting was mainly focused on project tracker and manufacturing lead times. “Sales reps have been very engaged in learning how they can improve their support to us and managing expectations to the customers,” said Christina Caravello, Fabtex, Inc. Vice President of Operations. Project tracker allows sales representatives to monitor and track sales orders from start to finish to assure accuracy, updates, approvals and completions during different phases of the process. Caravello also expressed the importance of manufacturing lead times. Dave Deters, Vice President of Sales & Marketing, speaks at the 2017 Fabtex, Inc. National Sales Meeting in Las Vegas, NV. “Everyone has an impact on our lead times, including the Sales department, starting with the quote’s accuracy, down to the shipping department verifying all has shipped,” said Caravello. Typically, lead time starts from the receipt of fabric, measures and/or prototype approval. 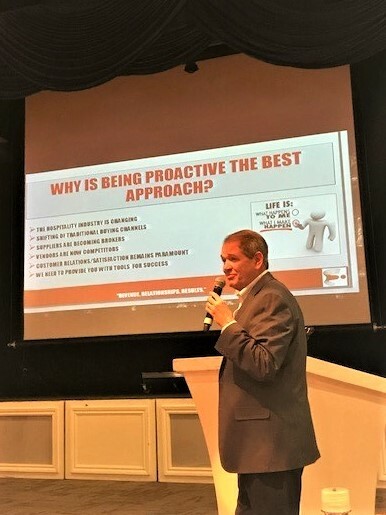 Dave Deters, Vice President of Sales & Marketing, who was also in attendance expressed the importance of being proactive by being over prepared, before and during the sales process. “We should be prepared for every question and situation. The more resources, tools and information we have make it easier and more convenient when it comes to satisfying client needs,” said Deters. Deters believes being a ‘jack of all trades’ is key to Fabtex sales representatives continued success. 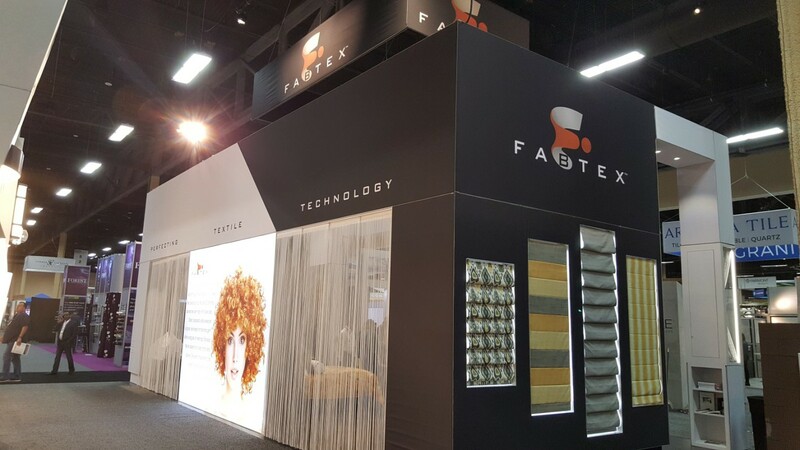 Fabtex Attends HD Expo 2017 in Vegas! Once again, Fabtex, Inc. takes its show on the road to stay connected with the Hospitality Industry at the 2017 HD Expo in Las Vegas, at Mandalay Bay, May 3-5. Come meet the Fabtex Team at our state-of-the-art booth (#5211) to see our displays of the best and highest quality of fabrics, roller shades, draperies and window treatments. Fabtex, Inc. state-of-the-art booth displays samples of roller shades, fabrics and draperies from a few collections in its design library. As a trendsetter in the industry, Fabtex, Inc. objective is to transform creative vision into performance-driven luxury at every opportunity. We have everything. Right where you need it. Hospitality Design Exposition & Conference (HD Expo) the premier show for the hospitality industry, as well as ultimate connector to the hospitality design industry. The three-day event brings together over 10,000 designers, architects, hotel owners and operators, developers, specifiers and purchasers with more than 800 hospitality design manufacturers and product providers. LOS ANGELES, California – Softex Fabrics Inc. a long time player in the U.S. window covering business, is importing LITESAFE,® a new three pass blackout lining from YongShun China. 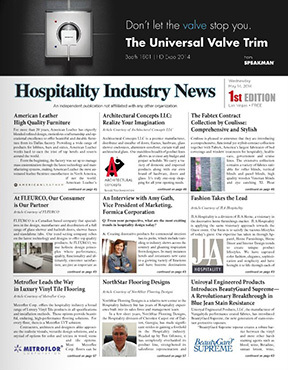 The first shipment was shown at the Hospitality Design show in Las Vegas in May by Fabtex and Jay Dash International. John Sofka, Principal at Softex, started doing Business 45 years ago as a convertor of drapery linings and says that he “developed the very first coated blackout lining!” Sofka sees a new opportunity to compete in the sizeable blackout market that he estimates to be at over 90 million yards annually. Blackout Lining is a fundamental product sold through manufacturers-workrooms-converters and jobbers in the USA. “Three pass coating technology has elevated itself in the past few years and the YongShun Mill has made the necessary investment in this technology”, Sofka says. The mill is vertical yarn forward to finishing and printing, Sofka adds. The new linings were developed in conjunction, with YongShun and manufactured in its Allbright Home Textile Division. YongShun is a $70 Million Dollar Textile Company, based in Shaoxing, China. YongShun was founded in 1995 by the Hu Family, Guo Rong Shang and his wife, Xiao Ping Hu. Mrs. Hu is now Chief Operating Officer. The three divisions of YongShun are as follows : Zhejiang YongShun Window Decorations Material Co., Ltd., a coating factory, which covers an area of 430,000 square feet. YongShun is also a shade cloth producer. 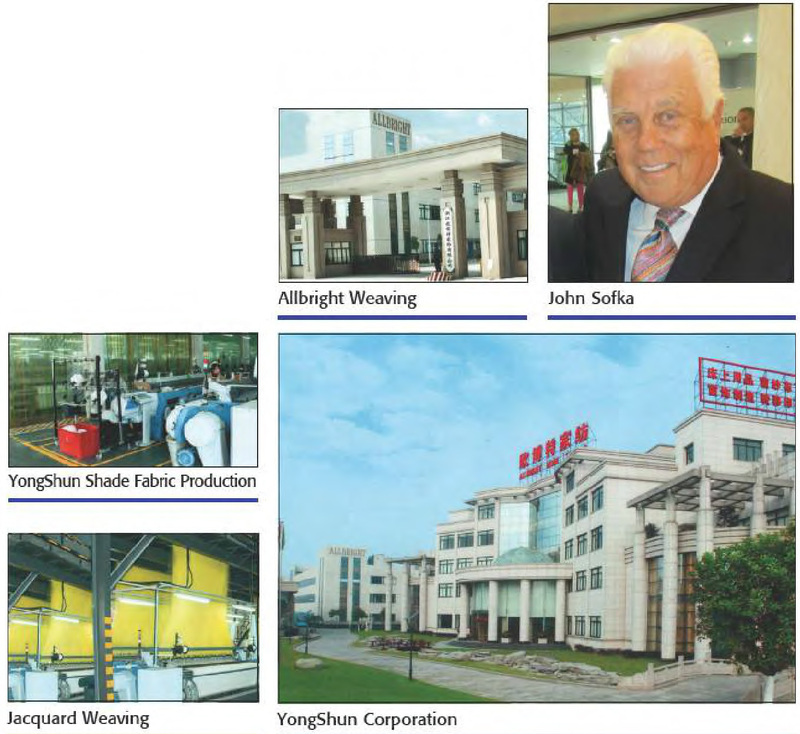 Zhejiang Allbright Home Textile Co., Ltd., established in 2005, is the home textile company. It includes product design, fabric weaving, transfer printing, embroidery and ready-made processing. It produces home textile fabrics and finished products including bedding sets, curtains, shower curtains. and cushions. The manufacturing area is 800,000 square feet. Zhejiang Hotearn Textile Printing and Dyeing Co., LTD. is a home textile fabric color dyeing and printing company. The company contains two separate branch plants for dying and printing. The manufacturing area is about 1.5 million square feet. The Allbright Division of YongShun which produces the blackout, also has substantial dobby and jacquard capability which Softex hopes to bring to the USA market in the near future. In addition to the Allbright Division, YongShun has a print division titled “Hoteam “. This division offers digital, rotary screen and flat bed screen print capability. “Hoteam is also capable of printing its own paper in-house for its heat transfer print option,” Sotka says. Printing widths include: 54-72-118 inches and are available in all methods. The new blackout fabric is produced under the LITESAFE® Brand name developed by Softex. Sofka says the blackout is available FR or non FR; is water repellant, and approved as a base for printing either transfer, digital or screen. “The three pass coating utilizes the newest combination of poly acrylic foam which is then enhanced with a Focking to give it a softer cotton like hand,” Sofka points out. “This finish allows workrooms time saving sewing steps in production,” he adds. In addition to YongShun, Softex also represents weaving from Mexico through its association with Corporativo Atelier and Rahga Mills based in Mexico City. DANVILLE, Pennsylvania – Michael Feterik, who made his fortune in the corrugated box industry. has purchased Fabtex,Inc., considered to be the largest fabricator of hospitality industry bedding and window treatments in the USA with $50 million in sales. “However, Feterik expects to build this business to $300 million through growth and acquisition of supply chain vendors and competitors,” according Adam Jurlin, newly named President of Fabtex. He was previously Vice President of Operations and will continue to focus on operations at Fabtex, he says. Jurlin, joined Fabtex three years ago to help find a buyer, he says. As owner, Feterik has assumed the positions of Chairman and Chief Executive Officer for the Danville, PA, based company specializing in hotels, healthcare, cruise lines and government. About 95 percent of the business is devoted to hospitality, Jurlin says. Glenn Halterman, former CEO will also remain with Fabtex. Jurlin and Halterman are also partners with Feterik. The 300 employees are being retained with three manufacturing plants in Danville (corporate headquarters), Lumberton, NC and Orange, CA. Jurlin says. 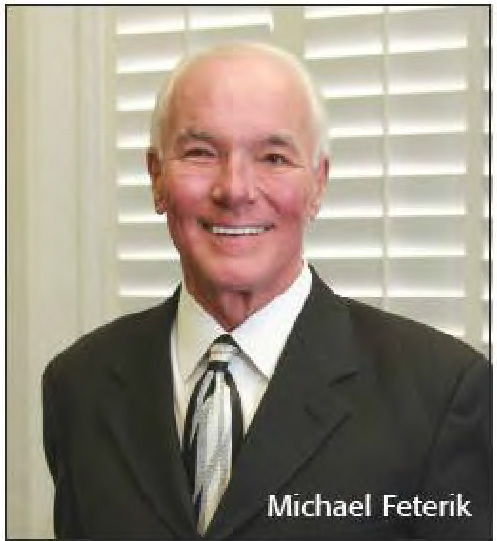 A legend in the transportation, corrugated box and container industries, Feterik launched Orange County Container Group in 1981. Starting with only four employees, Feterik built Orange County Container Group into a $500 million business with more than 2, 700 employees. Feterik has a BA in Business Administration from California State University Long Beach and an MA degree in Industrial Psychology and Counseling from the University of Michigan. He also is a former owner of the Canadian Football League (CFL) Calgary Stampeders of Calgary, Alberta. In addition to fabricating proprietary hotel brands and its own exclusive lines of bedding, drapery, curtains and hardware, Fabtex has developed a host of related companies. The Fabtex corporate family includes FabriLux, durable easycare luxury fabric; FabriViron, environmental fabrics; Pure Shade, motorized window treatment systems based on NASA solar science; the Coulisse/Fabtex collection of Euro designed shades; Spec-Tex, wide width textile solutions, and FabriSafe, powerful environmentally-safe microbe protection for textiles. MIAMI, Florida – Coulisse B.V., a $100 million plus window coverings converter and hardware supplier, is capitalizing on the trend towards roller shades with a major expansion in the USA and South American markets. 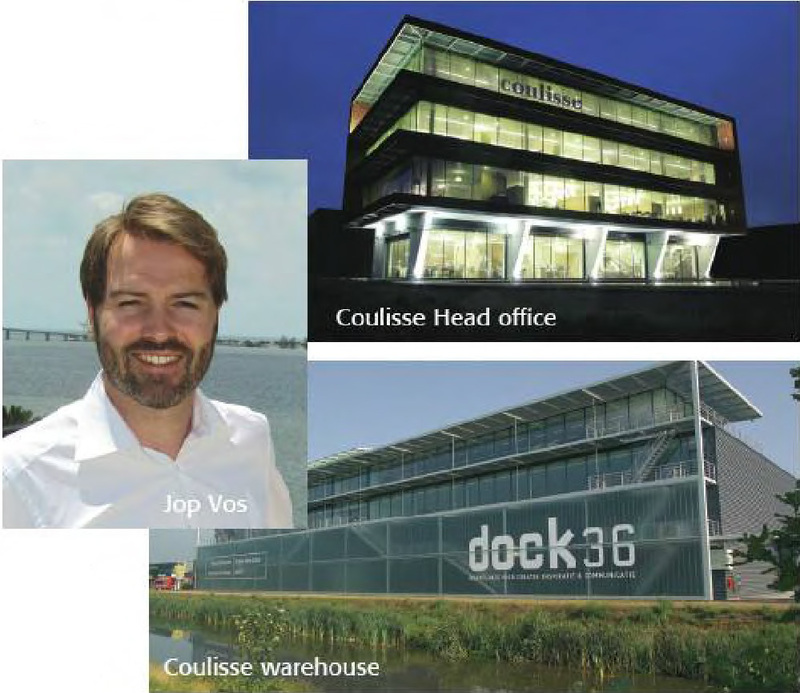 Jop Vos, who joined Coulisse in 2006 covering the Eastern European market, relocated from his native Netherlands to the USA in 2011. He is now the Managing Director of Coulisse North America based in new offices on Brickell Key where he covers the USA and an increasingly important South American market. He reports to Morris Roetgering, one of the two principals based in Enter, The Netherlands, about an hour from Amsterdam. There, Coulisse has a 170,000 square foot warehouse and design center which supplies 7,000 sku’s to the world market, shipping a container of window shades and mechanisms to the USA on a weekly basis. Coulisse says it has a motor solution for each of its 7,000 items, made mostly of 100 percent polyester, including TreviraCS as well as natural roller shades of jute, paper and linen. Coulisse also supplies blackout and light filtering shades. The company in its expanding export, effort, now has sales offices in Singapore, Shanghai, Guangshou, Taipei, Warsaw Poland and Moscow. Coulisse also supplies jacquard fabric shades to its customers that coordinate with its Berlin collection of 119 solid colors. Prints are also a part of the offering too but more of the business today is done in plains and textures, Vos says. Coulisse deals with several different fabric and hardware suppliers worldwide to build its collections for the fabricator. Coulisse will also use its brand name or make private label for the customer depending on the situation. Family Distributors Inc. in Fort Lauderdale, FL is distributing the Coulisse lines in the USA. This same company owns Unique Wholesale Distributors, Inc., a fabricator that is currently supplying some retail accounts in the USA. Fabtex, Danville, PA is another key fabricator for Coulisse, specializing in the hospitality industry that expects to cover as much as half of its windows with roller shades in the years ahead according to industry watchers. Coulisse also counts Lutron and Shades Online as two important customers in the US market. Christiaan Roetgering founded the company in 1992 and his brother Morris who originally was an international trader, joined sometime after that. “We didn’t get into the roller shade business until 2000,” Vos says. “Initially, the company just followed the trends in window coverings filling the need for existing products with European do-it-yourself chains; then we decided to be a trend leader, getting more creative with hardware and fabrics.” With that decision, that’s when Couusse’s business really took off,” he figures. To give an idea how the shade business has grown for Coulisse in the USA, Vas doubled sales in 2012 and grew the business another 20 percent in 2014. The company as a whole expects to produce $110 million in sales in 2015 with 84 percent of the business in Europe and the balru1ce of sales are going worldwide, Vas says. He points out that the fastest growing market is in the USA today, which is expected to account for 25 percent of company sales within five years time. Germany by the way, is the single biggest market for Coulisse, which has no less than 50 distributors showing its lines at Heimtextil Frankfurt each year. What happens when a specialist in textiles for the hospitality market from the USA and a global brand in window coverings from the Netherlands join forces? Magic! The collaboration the two companies entered into earlier this year is not merely based on sharing expertise, know-how and experience. It is also, and foremost, a matter of shared DNA. 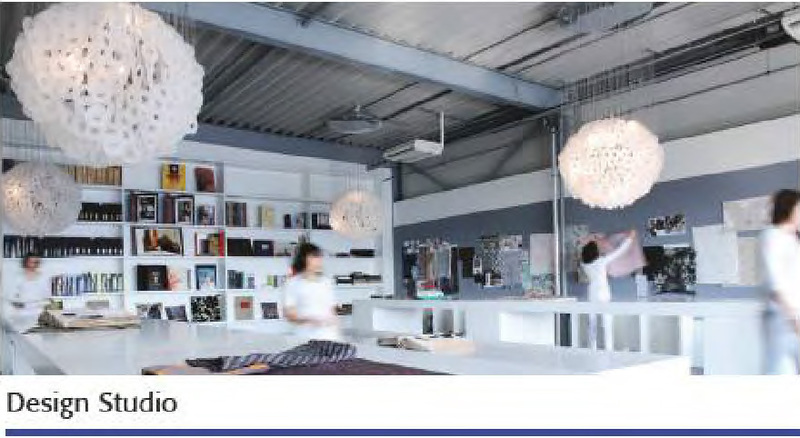 The synergy between Fabtex and Coulisse makes the partnership a powerful one. With their combined expertise, shared passion and drive, they aim at exciting the market with inspiring, fast-forward window covering products suited for the hospitality market, of which their new joint collection is the first result. Both Fabtex and Coulisse have over 20 years of experience in their dedicated industries. Fabtex has built a strong position in the hospitality market. Wellknown for their reputation as a quality manufacturer, Fabtex has focused on bringing value to their customers through the introduction of proprietary designs and products. Partnering with a company like Coulisse was a natural fit. Since its establishment in 1992, Coulisse has been on a mission to boast the market with new ideas. Their creativity and drive for innovation has allowed them to grow into a global one-stop-shop in the field of window coverings, known worldwide for its innovative products and aesthetic presentations, photography and marketing. The first result of the collaboration is a fashionable window coverings collection for the hospitality and contract market that covers both functional and decorative requirements. This tailor made collection, which is available in the USA through Fabtex, includes roller shade fabrics with a natural textile look, delicate micro patterns and unique screen varieties. Also double roller shade fabrics, with natural and satin shine varieties and wooden and aluminum Venetian blinds with a design touch are part of the collection. For more information, see www.coulisse.com, www.fabtex.com, or contact Fabtex at info@fabtex.com and visit Booth #3321. With this month’s opening of their new 381-room hotel, Potawatomi Hotel & Casino officials expect a big increase in casino customers staying overnight in Milwaukee. That means more revenue for the Forest County Potawatomi Community, which owns the entertainment and hotel complex that includes restaurants, banquet rooms and the 500-seat Northern Lights Theater. It’s the latest stage in the evolution of a business that was launched in 1991 as a 2,000-seat bingo hall. It also could cut into revenue for nearby hotels that traditionally have gotten some action from the Menomonee Valley gambling mecca. “Supply always has an impact,” agreed David Loeb, a hotel industry analyst at Robert W. Baird & Co. The upscale hotel is expected to draw new patrons to the casino at 1721 W. Canal St. It will expand the casino’s customer draw from a 25-mile radius to a 100- to 150-mile radius, said Hassan Abdel-Moneim, hotel director, during a Monday media open house at the 19-story hotel. It opens for guests on Aug. 18.
Leisure travelers from places like Madison, the Fox Valley and the Chicago area will likely book rooms not just to visit the casino but also to attend lakefront festivals and other events, he said. “There are a lot of reasons to come to Milwaukee,” Abdel-Moneim said. In addition, the hotel already has booked three group events that will generate business for other hotels, he said. That includes a veterans motorcycle rally in the summer of 2016 that needs about 1,000 rooms, Abdel-Moneim said. The Potawatomi Hotel will be the event’s main hotel, with 300 rooms, while the remaining 700 rooms will be at other local hotels. The $97.5 million Potawatomi Hotel includes Locavore, a full-service casual restaurant. The hotel’s other features include a lobby bar, Stone Creek Coffee shop and 12,000 square feet of meeting rooms aimed mainly at business groups and associations. The hotel was built on nontribal land, and is paying property and room taxes, while creating 230 full- and part-time jobs. Unlike the casino, which is attached with two covered walkways, the hotel is smoke free. Gilbane Building Co. is the general contractor and PNC Bank provided financing. The building has 365 standard rooms, along with 16 suites. The average daily rate will range from $150 to $250, depending on the season, said Ryan Amundson, Potawatomi Hotel & Casino spokesman. The 3,000-square-foot presidential suite — about nine times the size of a standard room — costs $4,000 a night. The hotel will likely draw people who wouldn’t otherwise stay overnight in Milwaukee, Loeb and Hanis said. Without conducting his own analysis, Hanis’ best guess is that the share of new guests will be closer to 50%. Hotels within a mile or so of the casino are the most likely ones to lose business to the Potawatomi Hotel, Hanis said. The DoubleTree Milwaukee Downtown, 611 W. Wisconsin Ave., and Hilton Milwaukee City Center, 509 W. Wisconsin Ave., might be the most vulnerable, he said. The 243-room DoubleTree has done “fairly well” in attracting casino patrons, said Jeff Welk, general manager. “At this point, obviously, a lot of that will go away,” Welk said. That won’t be a huge blow, he said. This year, room bookings tied to events the DoubleTree promotes with the casino are expected to make up about 4% of the hotel’s total bookings, Welk said. The DoubleTree also draws other casino customers who book rooms on their own, and Welk hopes to continue to capture some of that business. Still, no business wants to lose revenue. Marcus Corp. Chief Executive Officer Greg Marcus told analysts during a July 24 earnings call that he didn’t know how the new hotel would affect the company, which operates the Hilton and two other downtown hotels. Marcus said last year that the Potawatomi Hotel was among several downtown projects that were creating “an unjustified increase in supply” that could hurt the company unless demand increased in the downtown hotel market. One concern for other downtown hotel operators is the possibility of the Potawatomi Hotel aggressively cutting room rates during slow times, Loeb and Hanis said. Some casinos view their hotels as “loss leaders” and are willing to offer deep discounts to get gamblers to stay overnight, Hanis said. However, both Loeb and Hanis also said downtown Milwaukee hotels are enjoying strong occupancy rates. “Frankly, demand has been better than I expected,” Loeb said. Coulisse is pleased to announce that they are introducing a comprehensive, functional yet stylish contract collection together with Fabtex, America’s largest fabricator of bed coverings and window treatments for hospitality, healthcare, government and cruise lines. The extensive collection contains a variety of fabrics suitable for roller blinds, vertical blinds and panel blinds, high quality wooden Venetian blinds and eye catching XL Pleat blinds. The Fabtex Contract Collection embraces efficiency, quality, human and environmental friendliness with unique possibilities for creating atmosphere and style. Christiaan Roetgering, founder of Coulisse, states: “Window decorations are more than just products: they are an expression of style and individuality. We want to exceed the functional level of the product in offering a new contemporary look so that shading can truly become an interior style element.” This has been Coulisse’s vision since its establishment in 1992, and it has helped to make the company a leading supplier of components for assemblers and wholesalers of made-to-measure products. Coulisse offers its clients a comprehensive range of products, from wooden Venetian blinds to roller blinds and from vertical blinds to pleated blinds. Thanks to a constant focus on innovation, creativity and flexibility, Coulisse is even capable of starting new trends and anticipating specific client needs. Coulisse products are developed in Enter, The Netherlands, and manufactured and sold throughout the world. The collection has been created in conjunction with the Coulisse design team and is based on the latest trends in interior design and fashion. Furthermore, the extensive range of roller, screen and XL Pleat fabrics perfectly covers functional demands like flame retardant, light filtering and damp-proof. The Fabtex Contract Collection combines the functional, technological and innovative aspects of shading with design and style, answering key needs of interior designers and architects alike for new decorative possibilities in interior shading. The Fabtex Contract Collection will be available in the course of this summer and will be presented in an inspiring sampling tool with a unique look and feel, giving the opportunity to experience the texture, light filtering, color palette and technical specifications of the individual collection items. For more information about Coulisse, please visit www.coulisse.com. For collection information or points of sale please contact Fabtex Inc., www.fabtex.com. See full digital version here. Fabtex offers a range of guestroom bedding and drapery products made from its 100% polyester Prestige Fabrics. The company says the fabrics feature a subtle sheen that adds complexity to tone-on-tone patterns and colors and are suited for bed scarves, skirts, pillow shams, decorative pillows, window treatments and other accents. Atlas antique satin fabrics have the look of silk with the performance of fire-retardant polyester. The 19-color collection may be used for bed skirts or scarves, draperies, window treatments and decorative pillows.